A library adult education coordinator contacted me this week. She asked whether I would teach classes on memoir. 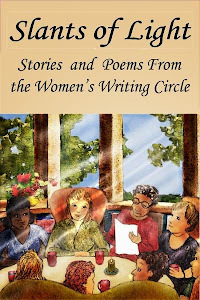 I’ve taught memoir writing many times and always enjoy it. It's as much fun for me as it is for those first being introduced to the genre. 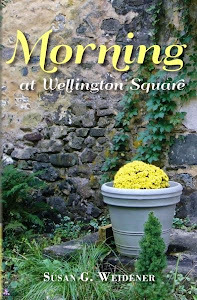 As the author of three books – two of which are my own memoirs and the other a novel based on my late husband’s memoir – I always feel it is worthwhile to go back in time – and document the legacy and lives of those who most touched us. Their stories often turn out to be ours, too. 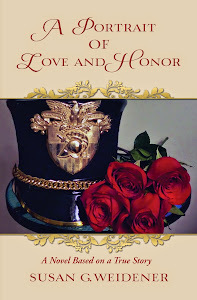 Jay's memoir in A Portrait of Love and Honor is about what happens when honor collides with a system that wears down the individual spirit and soul. 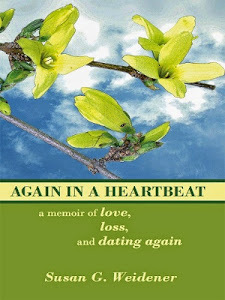 My memoirs detail the journey from love and loss to redemption and renewal. Who cannot identify with these themes? Which got me thinking about my grandmother. She was from Manchester, England. I'm traveling to London this week, and I’ll be thinking of her . . .
Annie Beatrice Dean – her name before she married my grandfather Andrew Weidener - arrived in this country from England in the early 20th century with her maiden aunt, Mary. I have no diaries, no records, just old sepia-toned photographs and memories of my father's stories about her, which is enough. My grandmother died when I was five years old. I still remember the white doilies on the pie-crust mahogany table in her dining room . . . the delicate china tea cups, her cat purring on the windowsill. Her love for me, her only granddaughter, on whom she bestowed her only valuable possession - a diamond dinner ring from England. My grandmother ran a small boarding house on Maplewood Avenue in the Germantown section of Philadelphia when she met my grandfather. After he died of a massive heart attack at age 59, Nanny went back to taking boarders. Life was hard as a widow. She had to earn a living. She raised my father, her only child, to believe that a woman can survive on her own; a lesson he passed on to me. I viewed my grandmother as an early-day feminist, supporting herself and running a business. When Annie was about to come and live with my parents, she met a man by the name of Jones, a widower, who lived on Maplewood Avenue. She was 74 and he a year older. He courted her. He proposed. She said 'yes'. Shortly after they announced their engagement, my grandmother was diagnosed with cancer. The cancer killed her within months. Had she found happiness with Mr. Jones? Was she just tired of going it alone? Had she discovered magic right around the corner as I so often say is possible in my memoirs? I'll never know. But it doesn't matter. Her story is my story, our story, a story of a strong woman. When we write life stories, we are connecting . . . a touchstone, not just to them, but to us. A poem by an unknown author resonates with this theme. A library has burned down. Whenever I tried to visit. Of unrequited love and immigrant loss. And were thrown into the flames.